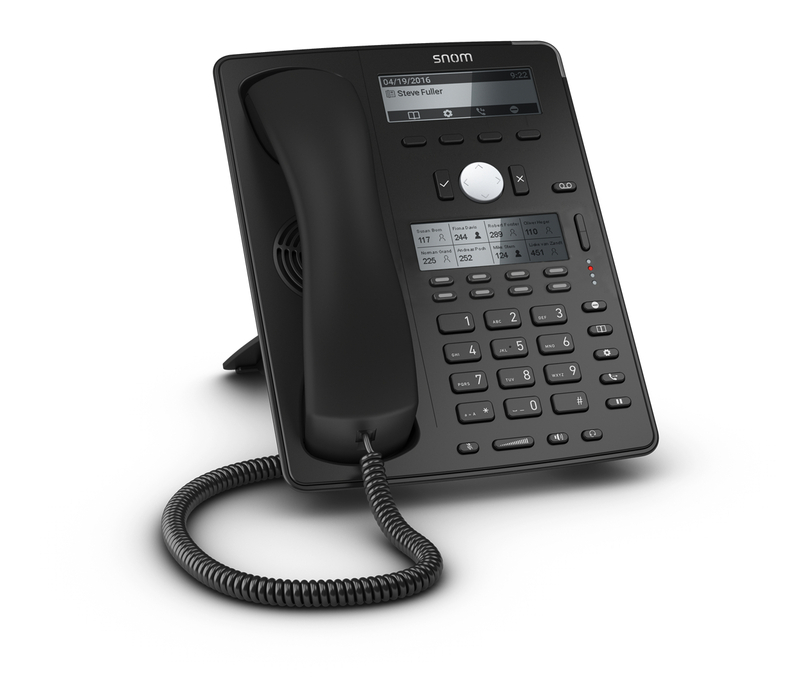 The D745 forms part of Snom's D7-series of IP phone, this desk phone supports up to 12 SIP accounts and features a high resolution, backlit graphical display. 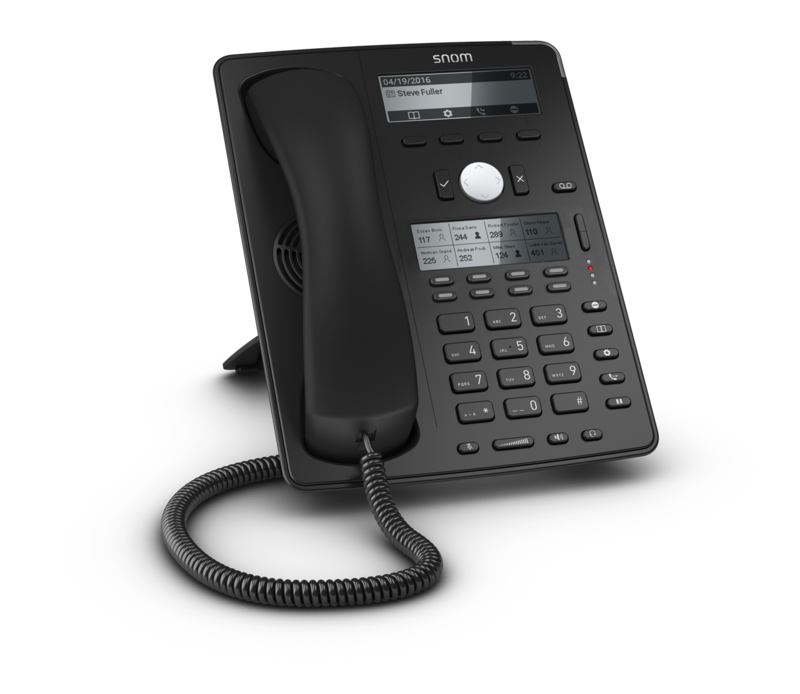 The D745 has 8 self-labelling programmable function keys with multi-coloured LEDs for BLF, these are supported with a second screen which has four page views, for a total of up to 32 quick dials and/or functions. 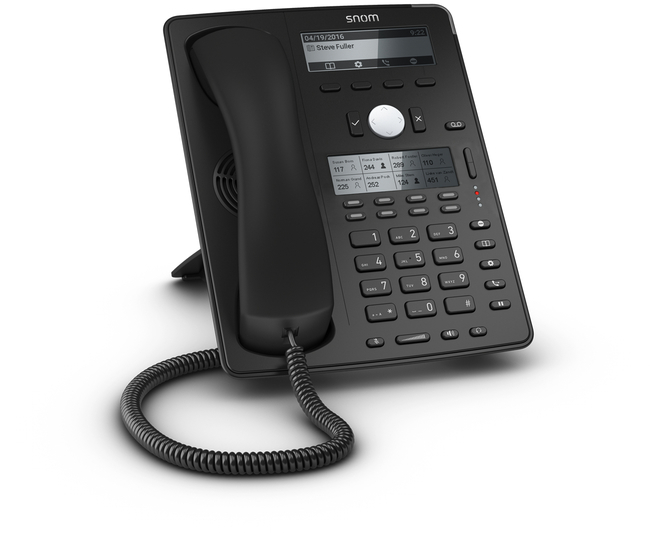 This phone has a local directory supporting up to 1000 entries and also features a high speed USB port which enables connection of a variety of accessories such as the D7 expansion module or Wi-Fi dongles. 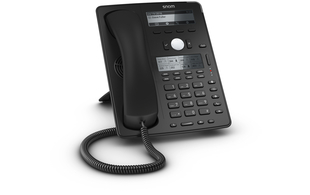 In addition, the D745 has a gigabit Ethernet switch to ensure you get the most out of local connections.